I love personalised jewellery, love being given it, wearing it and giving it as a gift, but with so many different options to choose from it can be a bit overwhelming! 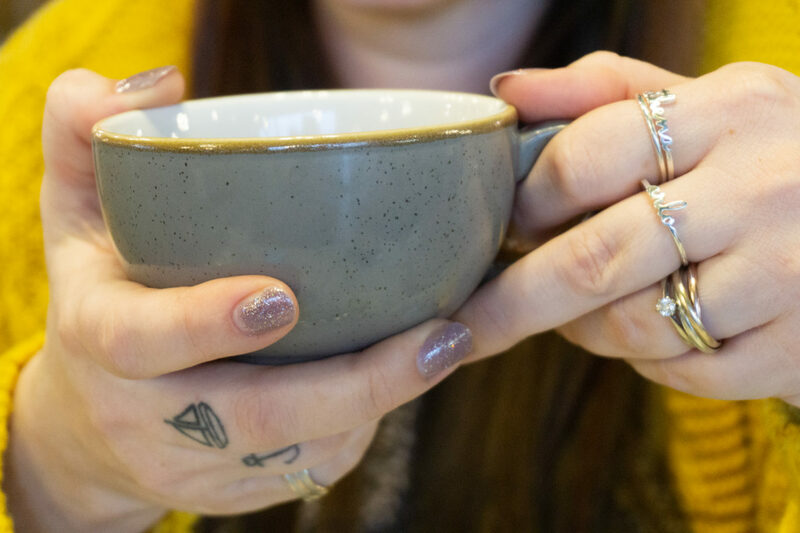 With over 34,000 sales on their Etsy store and an average customer rating of 5* Centime Gift’s store is definitely the right place to start looking for personalised jewellery. Necklaces, bracelets, pendants and rings. Gifts for grandma or for fathers, they do it all! I’ve got an amazing giveaway for you at the end of this post to win a $50 voucher for their store, but first let me show you my new favourite items of jewellery! Pretty right? 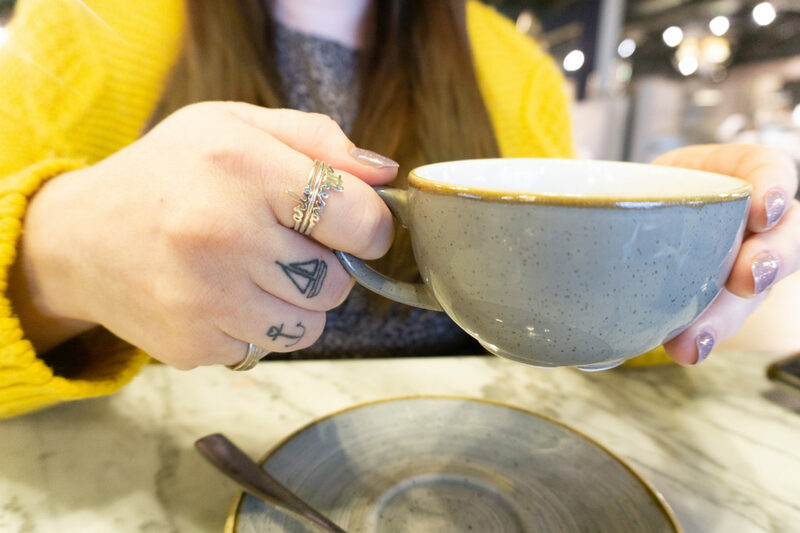 I knew I wanted some rings because I don’t really wear any other than my wedding and engagement rings, so I started looking at the vast selection of personalised rings, from engraved ones to handwritten styles, which is what I chose in the end. 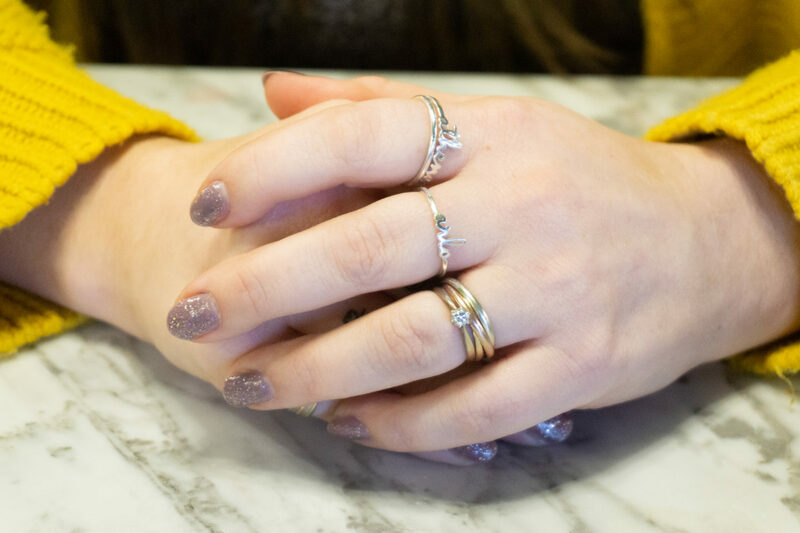 I picked a set of three stacking rings, though chose to have the third ring as a plain one rather than with a name on, to give me more variety in the way I can wear them. Of course I chose Athena and Arlo’s names for my personalisation but you could have course choose anything, maybe empowering or positive words or maybe a place name? Above are a few of the other styles of personalised rings, but I am really happy with my choice. I mostly wear them on the same finger with the solid silver band in the middle, but have worn them spread over different fingers too! They start from just $29 too, and necklaces from $37. They look really delicate, with the intricate hand writing styles but they’re actually sturdy and well made with no weak spots that might be liable to snap, which was a worry after a similar thing happening to an old ring of mine. They’re sterling silver so won’t tarnish, but you could also choose rose gold or gold plated options. Each ring arrived in its own gift box and was the exact size I had ordered. The ordering is in the US numerical sizing, so I used their comparison chart to make sure I was ordering the right size vs my UK letter sizing and they fit perfectly! 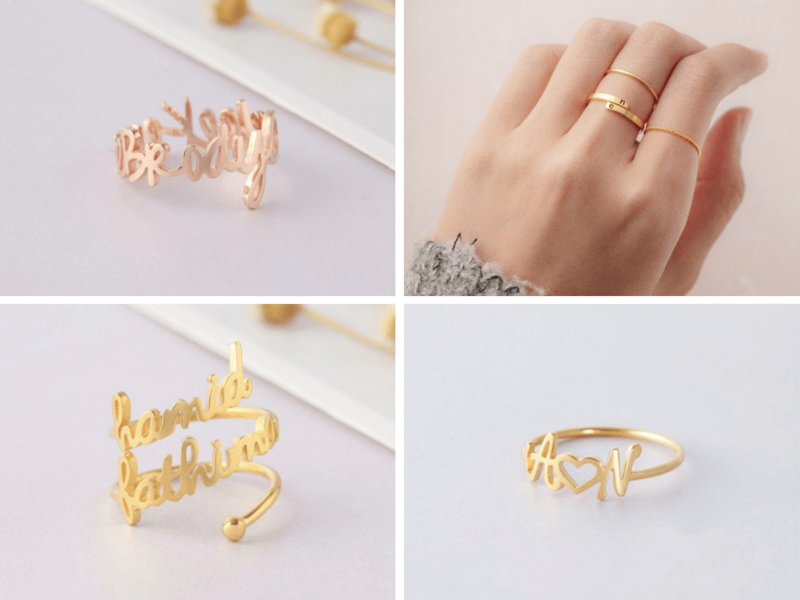 So if you fancy treating yourself or someone else to some Stackable Name Rings, or anything else from the Centime Gift site then get entering my giveaway! Giveaway ended. The Disc Handwriting Necklace with Initial and Birthstone Charm. I love the Personalized Name Ring – Double Name. I love that it’s quite big and swirly but then looks so dainty and girly at the same time. I love so many of the items but may choose the two initial braclet. Not sure as so many lovely items. Possibly some handwritten jewellery. 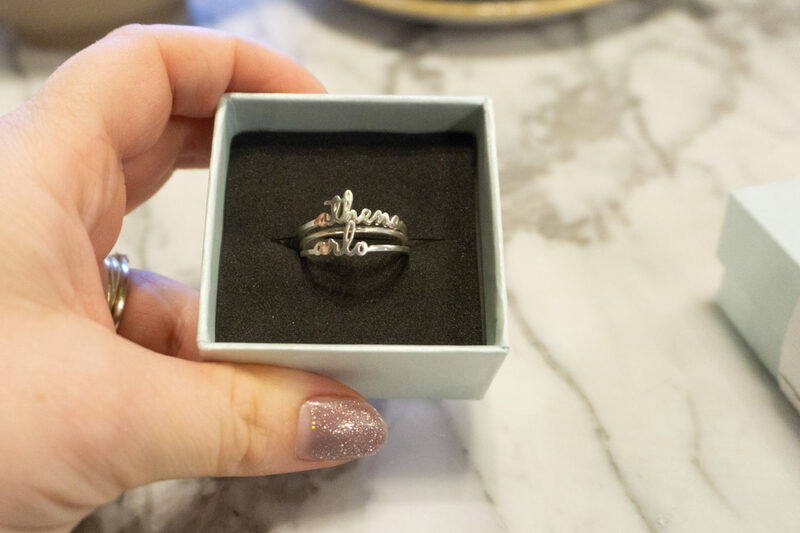 I would choose the Mother and Daughter Necklace Set of 2 or 3 – Moon and Stars, perfect for my 2 daughters and I.
I love the Script custom name ring…i would love my son’s name!